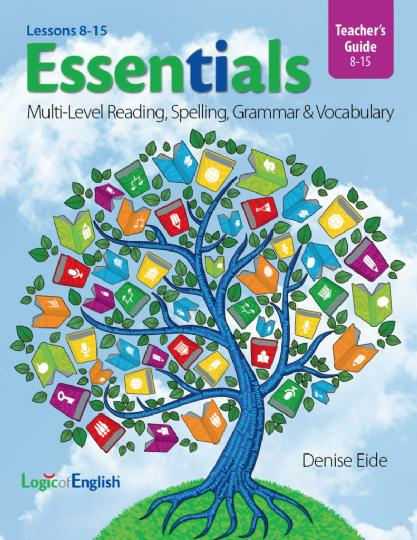 In Lessons 8-15 of Essentials, continue the same level of spelling list your student used in Lessons 1-7. Once you complete Lesson 15, continue to Lessons 16-22 and then on to 23-30. The eight lessons in this volume typically take a quarter to a semester. At a pace of one week per lesson, you will complete all 30 lessons in a school year. At a pace of two weeks per lesson, you will complete about 7 or 8 lessons per semester and about 15 lessons in a school year. Choose whatever pace works best for your students. See scheduling tips.